How good is this band coming from Saskatchewan? Damn good. You may remember one of the original members of the band Despistado (the first band to play with The Mark Inside at Phog) named Joel (bass player). 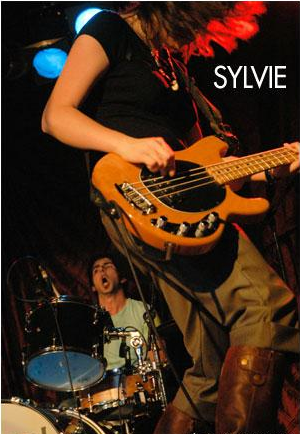 He is in Sylvie, and is one of the main reasons I spotted them when I saw some press for them a couple of years ago. And joining this hyped-up quintet are local sound-magicians What Seas, What Shores. I just love the instrumental, non-vocal, streaming walls of sound they bombard the crowd with at each show. This show is good enough to pre-sell tickets, but with my Big Walk event this week, I was unable to spearhead that effort. Come see how great these bands are together. This entry was posted in Uncategorized and tagged cafe, canada, detroit, entertainment, events, indie, live music, lounge, ontario, phog, sylvie, venue, what seas what shores, windsor. Bookmark the permalink. god i love What Seas.